This entry was posted on October 11, 2012, in Uncategorized and tagged RMHC, Ronald McDonald House Charities, Sawyer. Bookmark the permalink. Some of you may remember that we had some issues when Sawyer was born. You can read about it all on our CaringBridge site. The super short version is that we had some complications during Sawyer’s birth that led to mild brain damage and seizures. He was sent to Denver to be a part of a newish treatment – Total Body Cooling Protocol. 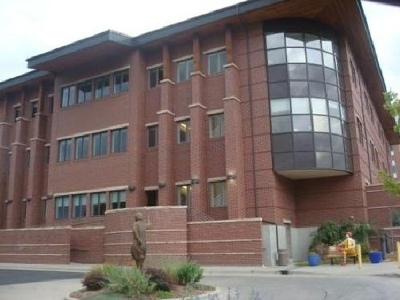 Anyway, one of the high points of that whole experience was the Ronald McDonald House. I cannot say enough good things about them. We love the RMH. The RMH provides VERY inexpensive housing to families with a child in the hospital or receiving medical care (we have also stayed there while in Denver for Sawyer’s follow-up appointment – EEG, etc.). The great thing about the RMH is that EVERYTHING is there. They provide meals, laundry, tv, anything that you have available at home is available there. It was such a great, stress-free option for us. We were only there for about 11 days, but while you’re in the midst of a crisis, it feels like FOREVER. Several of the families we met where there for the long haul – months and months of waiting for their children to grow and/or get healthy. I can’t imagine the stress that comes with that. Comparatively, our stress was nothing. Once we got home, we decided that as a family we wanted to do something to help the RMH. So, with the help of our family and friends, we started collecting pop tabs. We also started collecting other donations for the RMH. 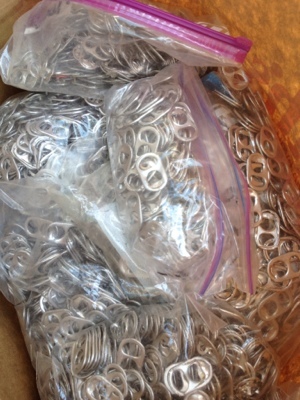 For Sawyer’s first birthday, we asked for pop tabs and donations instead of gifts. He still got gifts (no one could follow the rules – he’s just so cute! ), but we also got bags and bags of pop tabs and toys and donations for the RMH. Our first trip back, we took a GIANT box of pop tabs and several boxes of toys and supplies. We were also able to donate some of our time and had some great friends (Amy, Jessica, and Velami) join us while we prepared a meal for the “residents” at the RMH. Recently, I had a trip planned back to Denver to attend a wedding. We gathered up our pop tabs and with the help of my sister, had a large grocery bag full. I also asked my boys to go through their play room, which was overflowing with toys, to see if there was anything they would be willing to give to the “sick kids”. My awesome kids filled 2 boxes with toys. Scout even gave a bunch of his beloved match box cars. The rest of the week, we picked one toy each day just to get anything we may have missed. We ended up with 3 boxes of toys to donate. With no tears or objections. I love those little monsters. We plan to continue to support this great service. And we would like to help anyone else that would be willing to support them. It is so easy! Start saving pop tabs. Box up those old toys (just make sure they still work and aren’t broken). Buy some new things – the list of needs is available online for each RMH location. You can also find more ways to help here. Check in with your local (or regional) RMH to see if they need meals provided. We may not get down to Denver this year to provide a meal as a family. But, the great thing about technology is that we can order pizzas for the group. Or order anything and have it delivered. They have really made it easy and pretty cheap to help them out. They will have information about the houses, wish lists, ways you can give back, was well as taking donation to help them reach their goal of $150,000.00. Be there or be square. I also think it is a great way to get your kids involved in service projects. We are starting small, but soon those monsters of mine will be changing the world. It is really awesome as a parent to see your kids have a heart for people that need help. What about you – do you have a cause that is close to your heart? Do you volunteer as a family? I’d like to know what you are doing…especially as our kids get older and can be more involved. So, let’s hear it! !